Innovation strategy and growth expert Clayton M. Christensen, and his co-authors Taddy Hall, Karen Dillon and David Duncan, present a new conceptual framework for products and innovation based on their conclusion that customers don't "buy" products or services; they “hire” them to do a job. This Theory of Jobs suggests that understanding customers is not the driver of innovation - understanding customer jobs is. By understanding what causes customers to “hire” a product or service, any business can improve its innovation track record, creating products that customers not only want to hire, but that they’ll pay premium prices to bring into their lives. 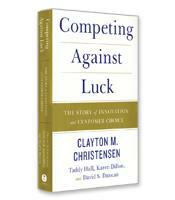 Competing Against Luck explains the framework and how to use it in your organization. 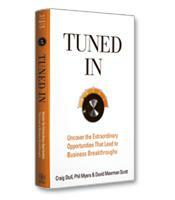 An exciting new conceptual framework for products and innovation. Why it makes more sense to focus on progress rather than products. The pitfalls of relying on traditional consumer data. How to understand and apply the Theory of Jobs to your organization.